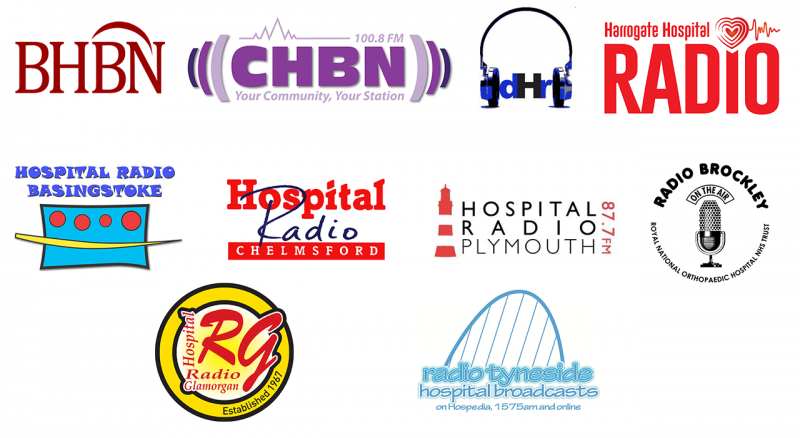 The shortlist for the Hospital Broadcasting Association’s annual awards have been announced by HBA Patron Alan Dedicoat. Judging will now continue to find the winners, who will be announced at a gala evening during the HBA Annual Conference in Windsor at the end of March 2018. Judges this year include NHS England Chief Executive Simon Stevens who will join Alan Dedicoat and health and media professionals from around the UK. Designed to allow demonstration of delivering an engaging, clear and concise message within a specific time, this entry must be produced and presented by the station. The entry can consist of a promotion or trailer and should convey the message and attract the ear of the listener. Designed to demonstrate the presenter’s expert knowledge of the music in question. Evidence of energy and passion for the genre should be evident to the listener. The entry may also include any content applicable to the programme. For example, an event guide / what’s on feature relating to the show. Entries may include any genre such as jazz, classical, country etc. Harlow Hospital Radio – 50th anniversary of the Beatles album “Sgt. Pepper’s Lonely Hearts Club Band”. This award is designed to showcase the power of speech through the medium of radio. Entries should be submitted from a single programme or interview. The material must be original, produced and presented by the submitting station. Radio Harrow – What is Hanukkah? This award is for a “one-off” programme broadcast by the station. The entry should be a compilation of the programme’s output demonstrating production and presentational quality as well as listener engagement. Designed to celebrate and recognise new talent across the hospital broadcasting community, this award is open to anyone who joined a hospital radio station for the first time during the two years prior to the closing date. Recognising that many hospital radio stations have programmes presented by a group of people, this award celebrates the ingredients that make hospital radio unique, such as patient and staff interaction, requests and personality. Rookwood Sound – Steve Allen & Debbie Brown. Designed to accurately demonstrate the diversity of presentation skills and awareness of, and engagement with, the audience. Entries should showcase variety of subject and style. Passion, energy and personality should be evident to the listener. Tindy C. Chaggar at Radio Fox. This Award showcases the best of hospital radio. From the interaction with station listeners to the delivery of an engaging station output. Submission is limited to a maximum 15 minute stand-alone documentary-style recording, featuring extracts from your station output. The entry should give the judges an insight into your station, station volunteers, hospital(s) broadcast to, and the style of presentation and programme content. The award celebrates an outstanding contribution, by an individual, to Hospital Radio over a period of years and is open to anyone working in hospital radio. The nomination should explain why the candidate has made a real and long lasting impact. The candidate may be drawn from the broadcasting arena but may equally be found from a technical or administrative background. They may have worked for a single or multiple stations over the years. Designed to recognise those behind the scenes, this award celebrates pushing the boundaries, using innovative, novel or pioneering ideas. This award is open to all across the various roles hospital broadcasting organisations may have. Technical to administrative, fund raising to Trust or Board engagement – this award celebrates achieving a goal using new and inspiring techniques.